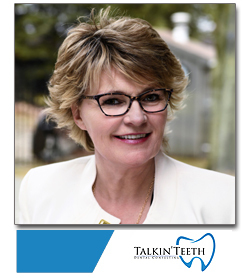 Toronto’s #1 in-office dental training authority, Leigh Gowland is a veteran trainer with 20+ years’ experience dealing successfully with the obstacles your team experiences on a daily basis. Leigh brings her team into your office to train your team, allowing for two-way conversations and real life role-playing scenarios to keep the training focused, fun and memorable. From dental benefits to reactivating patients, Leigh knows questions will pop up. Whatever you need, Leigh will help you find the answer to find ways to improve.